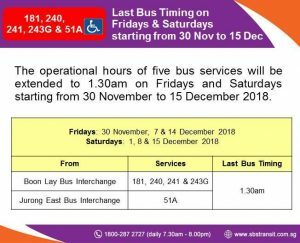 Shorter operating hours along the North South Line (NSL) between Jurong East and Woodlands, as well as along the East West Line (EWL) between Buona Vista and Boon Lay will take place on selected Fridays and Saturdays in December 2018 (including 30 November) to facilitate additional engineering hours for track maintenance and renewal works along the affected sectors. 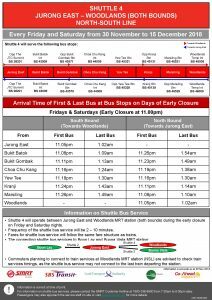 This will involve early closures along the NSL and EWL. 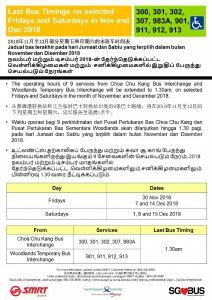 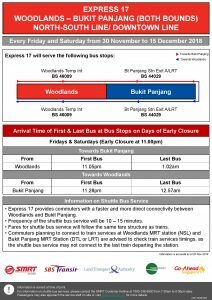 As a result, train services on the North South Line between NS1EW24 Jurong East and NS9 Woodlands, as well as on the East West Line between EW21CC22 Buona Vista and EW27 Boon Lay will be unavailable during the periods of closure. 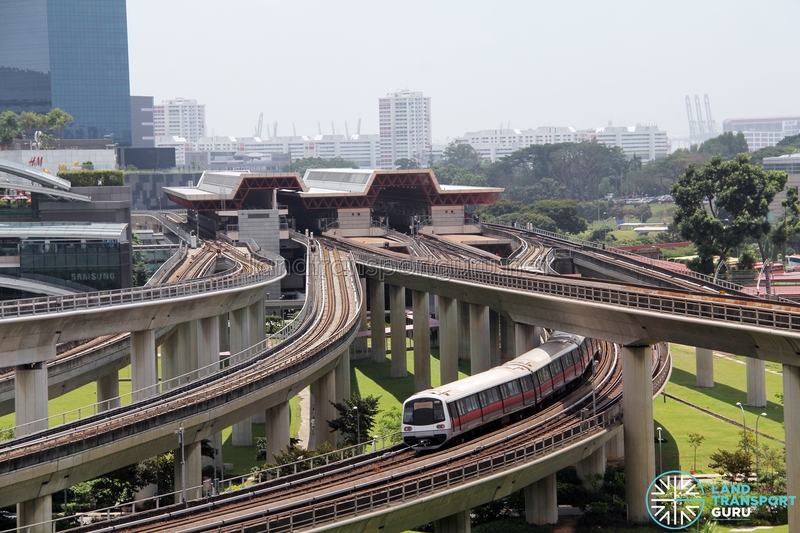 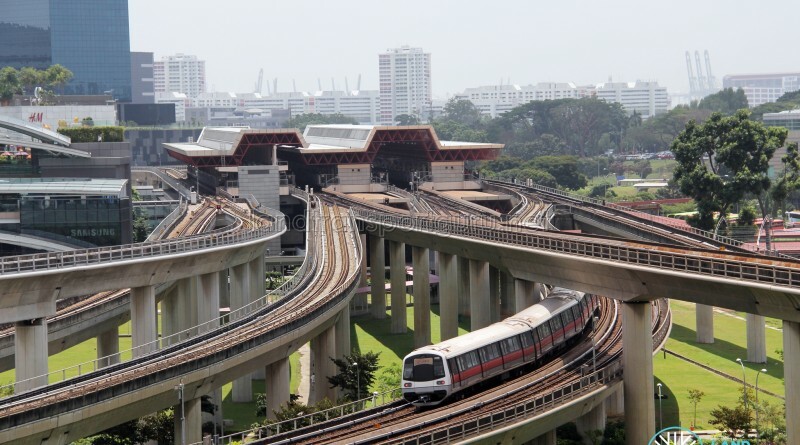 Train services remain unaffected along the remaining sections of the NSL (Woodlands—Marina South Pier) and EWL (Boon Lay—Tuas Link and Buona Vista—Pasir Ris). 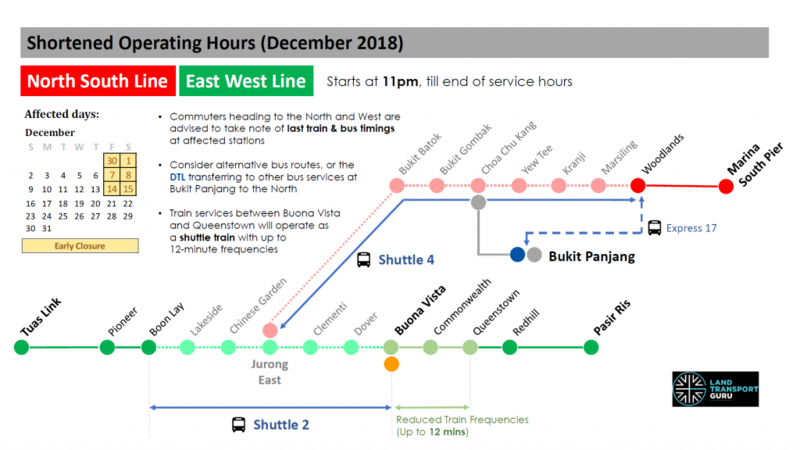 A Shuttle Train Service will operate between EW21CC22 Buona Vista and EW19 Queenstown at around 12-minute intervals during the periods of closure. 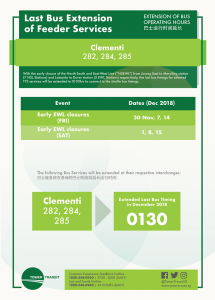 30 Nov and 1, 7, 8, 14, 15 Dec: last trains will depart at 11:00 pm on the affected stretch. 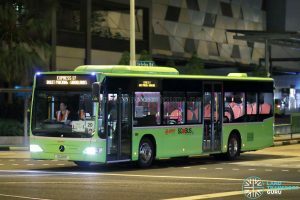 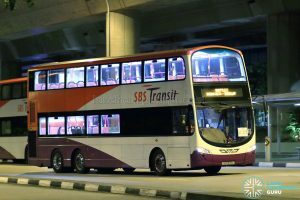 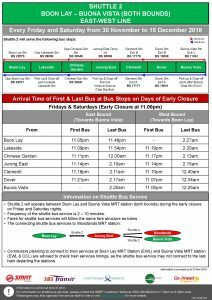 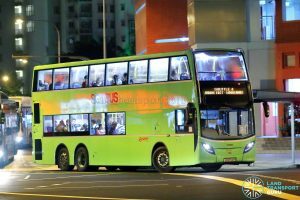 * – The last train departing Marina Bay to Marina South Pier is at 2356hrs.